The Joy of Tech offers a flow chart to help Apple employees identify the signs that they may be working on a fake Apple project. "Earlier this week, it was leaked that we sometimes put new employees on fake projects until we can trust them. 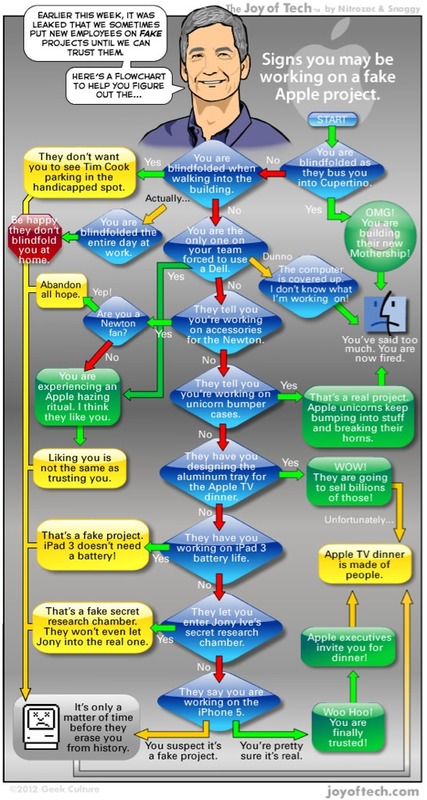 Here's a flowchart to help you figure out the... Signs you may be working on a fake Apple project."